Western Alliance Health Research Ltd is a registered charity, trading as Western Alliance Academic Health Science Centre and Network. It represents the partnership of the 12 major health service organisations operating across the western region of Victoria, Deakin University and Federation University. 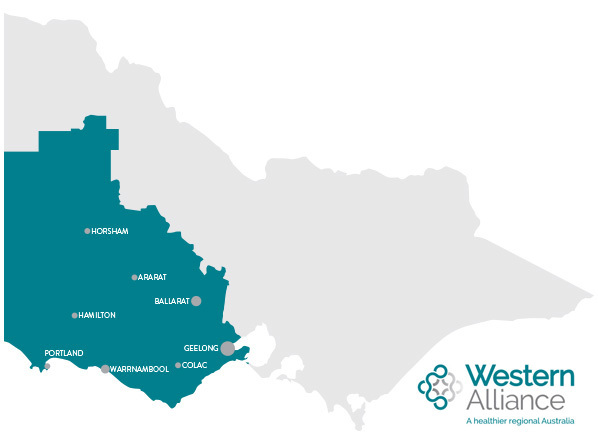 Western Alliance was established in 2014 to improve the impact, quality and quantity of health research, education and training in the western region. Geographically, the alliance is well placed to take a truly regional focus and, given the region’s similarity to national demographic indicators, is poised to deliver improved regional health outcomes of national significance.